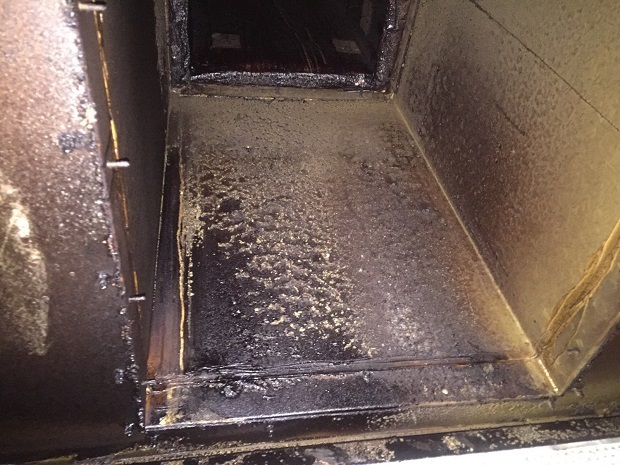 Duct Cleaning Murwillumbah 2484. 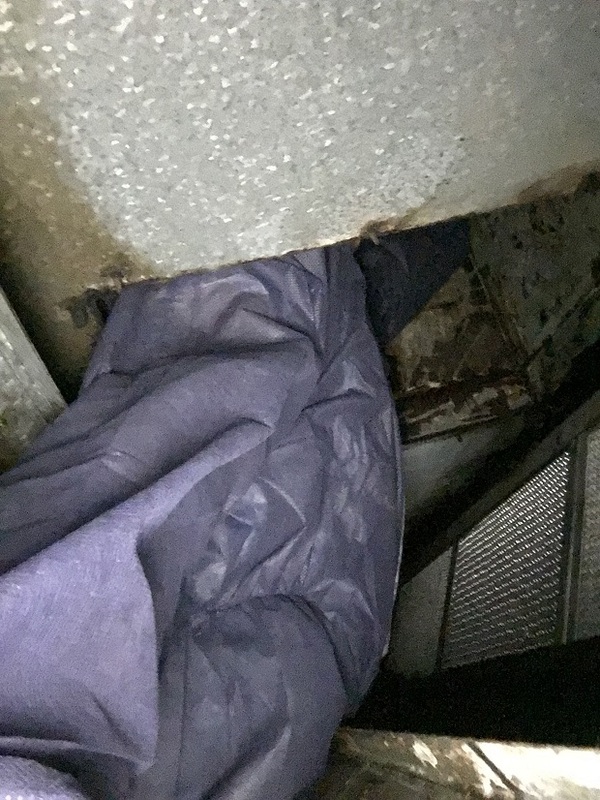 An Indian gentleman rang me from his commercial kitchen at Murwillumbah concerned that the inside of this upper ducting and canopy had never been cleaned. A pleasant drive in the country proved him to be correct. This kitchen had an old V canopy which can be difficult for duct cleaning for a number of reasons. The back of the V is often very neglected. The chefs often find it to hard to reach so they just leave them. After a period of time the build of up residual grease becomes too intense and it basically becomes just to hard to do. The main fault when it comes to duct and canopy cleaning is that it just so tight. There is very little room to move, never mind getting access into the upper extraction system and fan . Lucky for Greasebusters, many of my lads are very flexible and are willing to go the extra mile to get to the hard to reach areas. As the photo below depicts, he is squeezing through the filter hole. 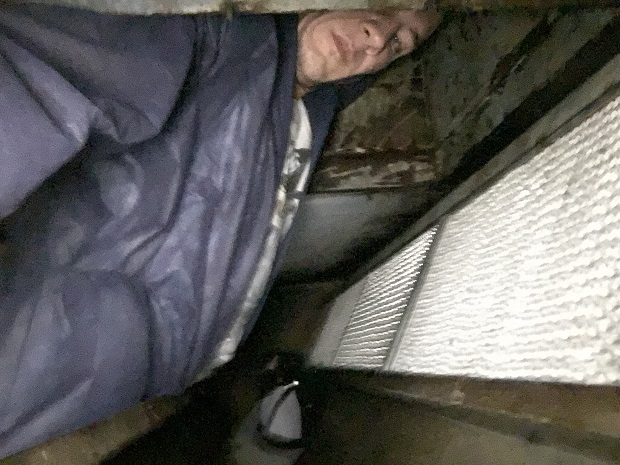 By gaining access through the filter hole Marcus was able to squirm his way up into the upper canopy and into the ducting that connects to the fan. In may cases we can clean the fan directly from the inside. The bottom pick after two hours of scraping shows the end result with all the residual grease now gone. 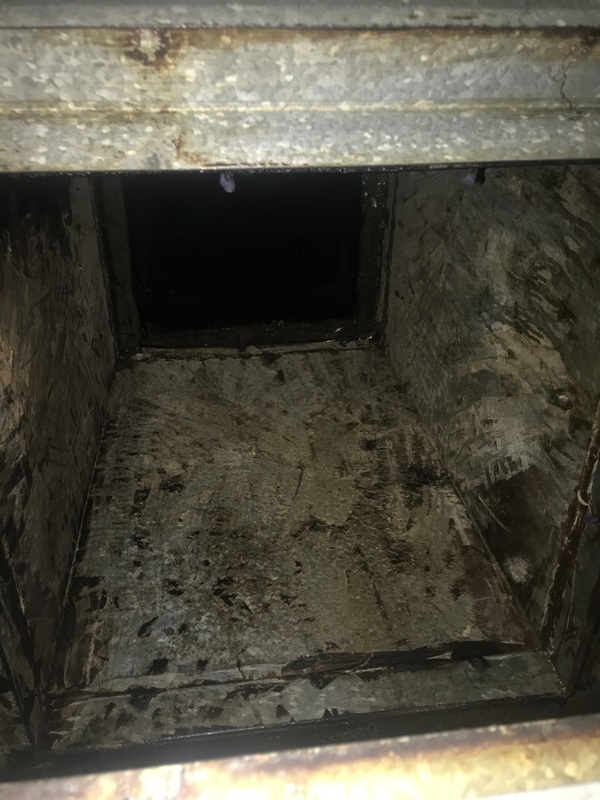 A regular cleaning schedule now will ensure that this duct cleaning Murwillumbah commercial kitchen is fire safe and compliant.